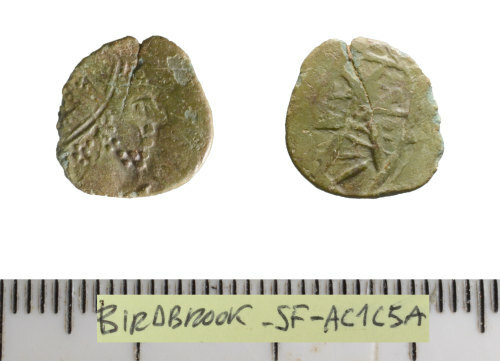 A copper-alloy contemporary copy of a Roman radiate (Barbarous radiate), copying a coin of an uncertain ruler, dating to AD 275-285 (Reece Period 14). Reverse type unclear. Other reference: Finder's reference: Birdbrook, Field 1, no. 26.